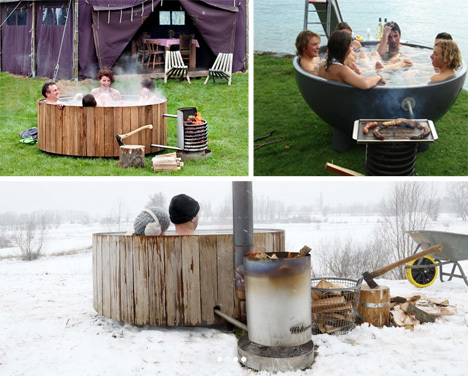 No need to plug in this particular hot tub – heat naturally circulates as you burn wood, keeping yourself warm outside by throwing logs on the fire much like you would in front of a living room hearth. 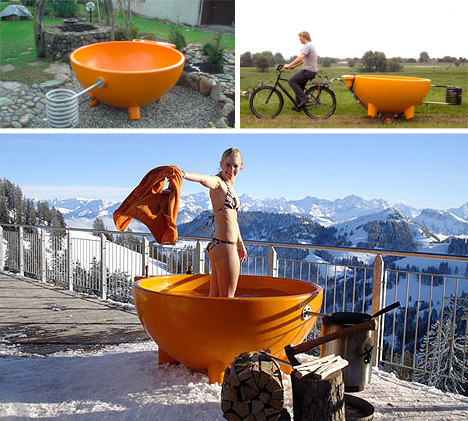 Dutchtub, which started making waves with its distinctive mug-shaped design and off-the-grid mobility, is back with a wooden twist on its original poly-fiber shell (and the same stainless steel lining). 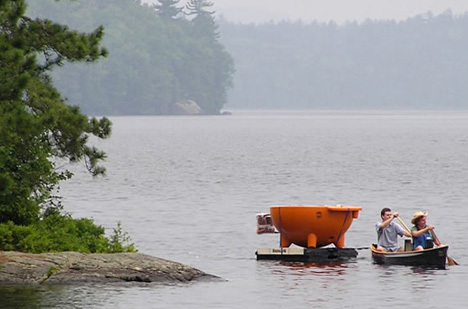 Both the classic and new designs boasts extreme portability, able to be towed behind a bike, tossed on top of a car, or even dragged behind a canoe for the truly ambitious soak-seeker. Like the outdoor equivalent of a fireplace flue, the spiral contraption sticking out the side allows users to adjust the temperature along with the burn rate. Optional accessories include a chimney to route smoke up and away as well. 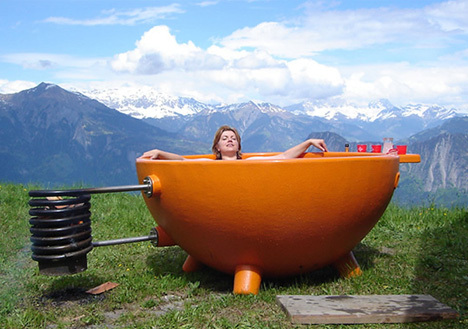 While it is not necessarily a safe or sanctioned use, some clever revelers have also discovered you can use the flames to cook a meal while you bask in the warm water and wait, turning the wood-burning element into a de facto stove.